When someone mentions car maintenance, most car owners, or people in general for that matter, think about checking the engine, bodywork, tires and electronic equipment. 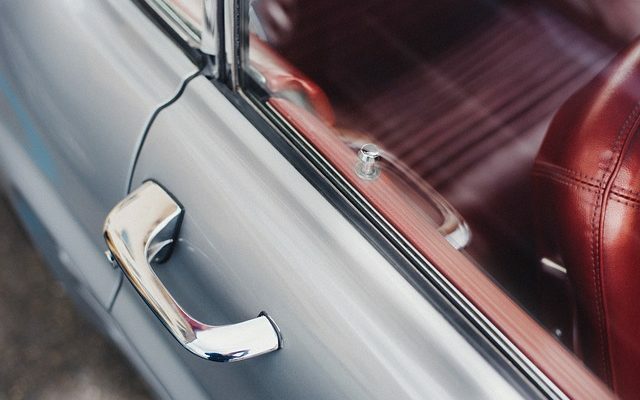 Although it’s clear that those are parts of the car that require the most attention, we shouldn’t forget that there are other things also susceptible to all sorts of problems, such as car door locks. It’s easy to forget to regularly inspect, clean and lubricate the locks, but if you don’t do it, you’re likely to have a problem getting into your car one day. So, what is it that you need to know if you want to nip this problem in the bud? Why do you need to lubricate the locks? First of all, you need to know why experts insist on lubricating car door locks periodically. Namely, locks are subject to problems related to moisture, such as rusting. Also, after thousands of insertions of the key into the lock, the mechanism might become vulnerable to debris, moisture and contaminants in the air. That’s why you need to clean and lubricate the locks regularly, to protect them from such issues. Next, grime and moisture might cause the lock to jam, since they find their way between the locking components and settle there. This is particularly prominent in regions that are consistently exposed to low temperatures or high humidity. The first thing you need to do is clean all your car door locks before you lubricate them. One way to do it is to wrap a piece of dry cloth around the tip of a small screwdriver or a similar thin, but strong object and insert it into the lock. Move the tip around a bit and try to get out as much dirt as possible. Next, pour some rust-removing solvent on the cloth and repeat the same action. You should probably do this a few times, each time with a new, clean piece of cloth before you get the results you’re satisfied with. On the other hand, if you live in a cold area, you might consider using a hairdryer to heat the inside of the lock and prevent that no crystals are formed within the locking mechanism. Remember that fixing a problem is always more expensive and more strenuous than preventing it. However, not all problems are equally inconvenient or expensive. For example, it’s cheaper to replace the lost key by paying a visit to professionals for car key cutting and programming, than to damage the locking mechanism and then be forced to replace both the lock and the keys. If you’re looking for the best option for your locks, look no further than silicone spray lubricant. It is waterproof and has the ability to stick to the surface inside your lock for a longer period. Each spray comes with a straw, which is used to access the deeply positioned parts. Make sure you follow the instructions on the spray to the letter if you want to achieve the best possible result. Once you’ve pushed the straw as far as it goes, spray the lubricant in short blasts, but allow a few seconds between each shot. After that, insert the key in the lock and move it around in order to smear the lubricant evenly all over the mechanism. When you finish applying the lubricant, you need to wipe any excess lubricant off, so that the car’s surface is free from it. Once your lock is clean, you can apply an anti-rust spray, in a way similar to the one described above. The only difference is that you shouldn’t insert the straw very far; make sure you’ve read and understood the instructions before applying it. Finally, you may apply a layer of silicone lubricant on the weather stripping around the door lock, because it helps prevent freezing. If you’ve done everything properly, you should never have problems with your car door lock, even in the harshest conditions. As you can see, these steps don’t require much time, effort or money, but they are really helpful when it comes keeping your locks functional.